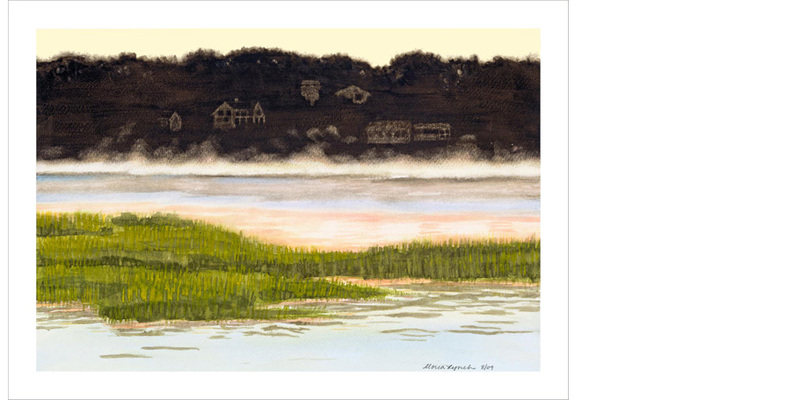 Giclee prints on Fine Art Paper Prints up to 44 inches wide by any length. 200 year pigment inks. Sealed with invisible UV and water-resistant coating. Crystal clear archival envelopes and print backing. Stay flat mailers or roll shipping. Certificate of authenticity available. From studio digital captures or your own files. 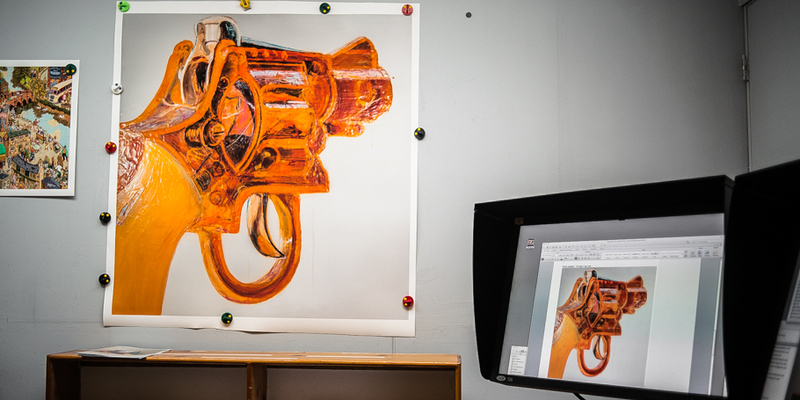 Orange Cap Gun - Beverly Rippel - Comment Jan 15, 2015 Steve has recently made a fabulous museum quality, large format giclee print of an oil and encaustic painting for one of my clients. He exceeded my expectations with this difficult -to- capture piece. He is a master of lighting. I have to say that when I saw the finished print, it took my breath away. If you have digital files (jpegs up to 50 megabytes) and want to upload them, see what sizes you can print them, view your images on a wall, get pricing for different sizes and mediums, order prints anytimes, get a free account and a place to store your print files for viewing and ordering any time, and more.. please viisit my new www.Artopia.net site. If you have files larger than 50 Megabytes, of any kind, that you'd like to upload to artopia.net, please send them to me and I'll convert them to a 50 meg jpegs, send the jpegs to you for uploading and ordering, and hold onto the original Tiffs, Photoshop files, PDFs or whatever, for printing your order.